I spent the afternoon in the garden yesterday, as the weather was so gorgeous, and I decided it was time to give my bamboo a bit of a haircut! I planted it 3 years ago and now that it has had time to properly establish and fill the hole that was left when an old fir tree came down, I wanted to expose the lower part of the stems to show off their gorgeous colour. As you can see, the overall look is rather block-like and I really wanted to create some space between the stems to give the corner of the terrace some dimension and highlight the wonderful stems that you just can’t really see. 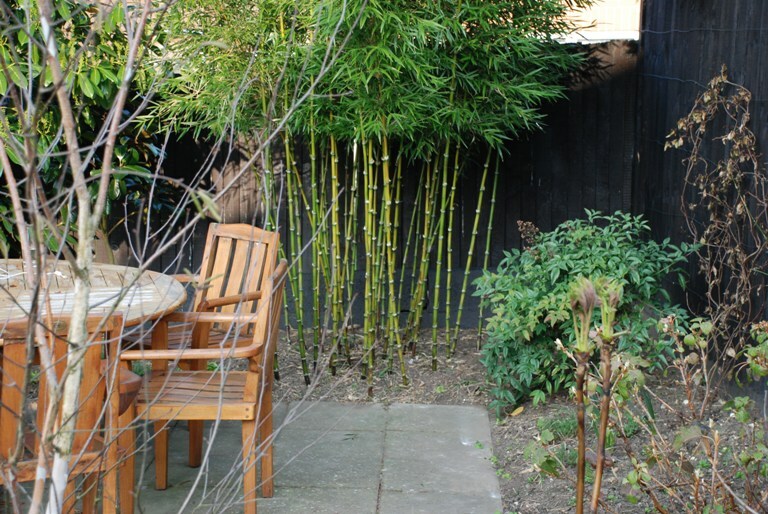 This bamboo is called Chusquea culeou, a clump forming bamboo which eventually loses it’s lower leaves naturally and has beautiful long stems with feathery leaves that droop over at the top. At the moment the soil is rather bare each side of the bamboo as the perennials planted there are only just showing their new shoots, but by the time Summer is upon us, and the perennials are in full swing, the stems will create a really wonderful focal point and give depth to the back of the garden. 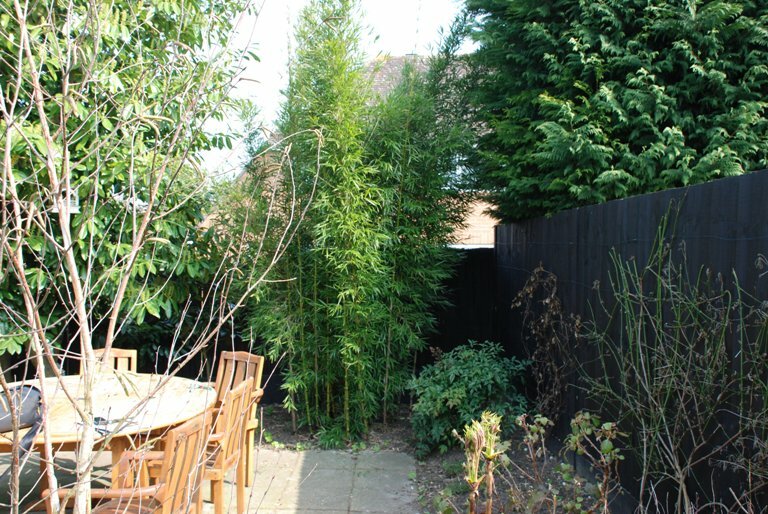 I never would have thought of featuring bamboo in my garden, but I must say that really does look stunning once it has been given a bit of minor TLC.